Centuries have passed since the time of the The 1001 Arabian Nights , but those classic tales, with their romance, passion, and vibrancy, continue to inspire and ignite imaginations . Within Scheherazade’s brilliant stories for her husband, King Shahryar, we learn of the vibrant life of Baghdad, Damascus, and Cairo in the 9th century as well as of certain key persons and how they functioned in society. Food—sweets, specifically—plays an important part in The 1001 Arabian Nights ; it is currency, temptation, sustenance. Delicious sweets are the link between that historical work and this modern one. 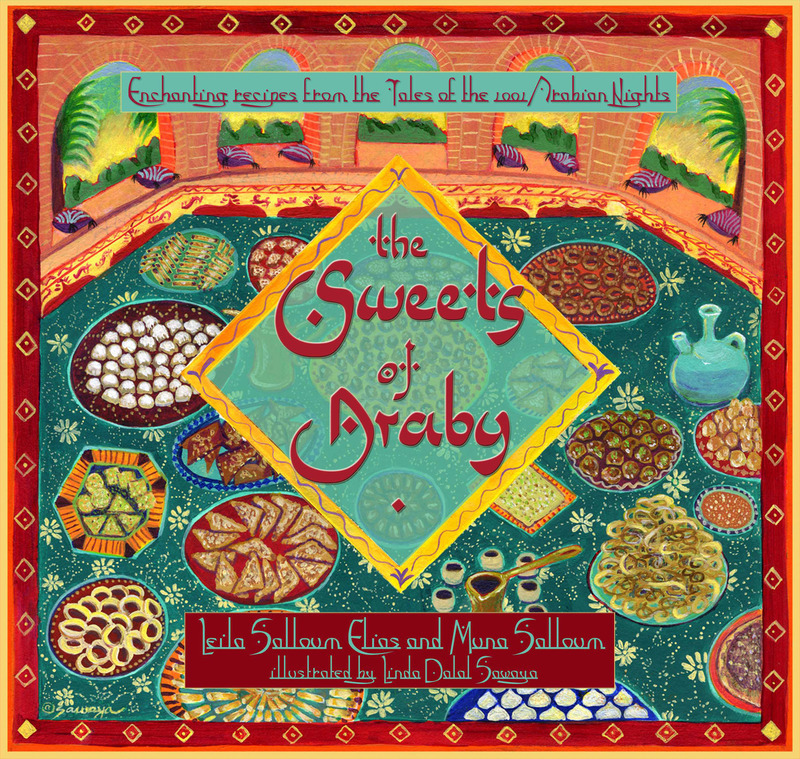 The Sweets of Araby offers us exotic treats and the translated tales they come from. Sisters Leila Salloum Elias and Muna Salloum worked with the ancient Arabic text of The 1001 Arabian Night s to find recipes and translate their stories, literally bringing back to life evocative stories with recipes transformed to suit modern kitchens and tastes. Beautifully illustrated with original paintings by Linda Dalal Sawaya, this delectable treasure belongs in every 21st-century kitchen. Leila Salloum Elias is a scholar of Middle East and Islamic Studies. She teaches modern Arabic language and Middle East history at Penn State University and Northampton Community College in Pennsylvania, respectively. Muna Salloum holds an advanced degree in Middle East and Islamic Studies. She is the administrative manager of the Institute for the History and Philosophy of Science and Technology at the University of Toronto.